— Fruitful Co‐​operations – Access to Training through Social Dialogue. For the third year run­ning, FIM and AMS organ­ised a skills empow­er­ment work­shop, from 26 to 29 March 2019 in Dakar, with­in the scope of the train­ing pro­gramme backed by Swedish con­fed­er­a­tion Union to Union. Representatives from FIM and SNAM (France) played the role of facil­i­ta­tors. After three days of group work­shops, a meet­ing with ACTRAV and UNESCO was held on the morn­ing of the 29th to study the pos­si­bil­i­ty of being sup­port­ed in col­lec­tive agree­ments. Finally, a meet­ing took place with the General Secretary of the Confédération Syndicale Autonome du Sénégal (CSA) with a view to future coop­er­a­tion with AMS. 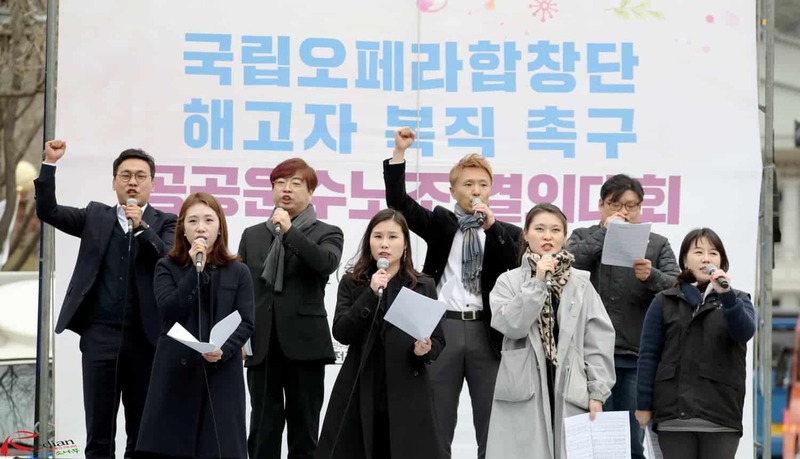 Members of Korea’s National Opera Choir must be reinstated! Korea’s National Opera Choir was dis­man­tled in 2009 by deci­sion of the con­ser­v­a­tive gov­ern­ment of Lee Myung‐​Bak, a deci­sion whose arbi­trary and unjus­ti­fied nature has since been brought to light. Ten years after the event, cer­tain choir mem­bers are still fight­ing to be rein­stat­ed, but are com­ing up against ret­i­cences from the admin­is­tra­tion which car­ried out their dis­missal in 2009 and today fears hav­ing to rec­og­nize its past errors. Korea’s National Opera Choir was found­ed in 2002 to pro­vide the insti­tu­tion with a choir to match its rep­u­ta­tion and ambi­tions. Adopted on 26 March 2019, the direc­tive on copy­right in the dig­i­tal sin­gle mar­ket opens up the way for a fair remu­ner­a­tion of per­form­ers. 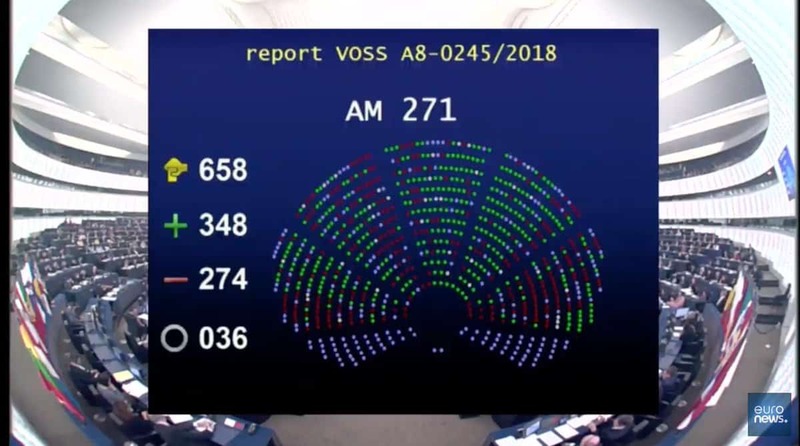 With its part­ners from the Fair Internet coali­tion, FIM has been work­ing relent­less­ly and con­tin­u­ous­ly for four years now to pro­mote per­form­ers’ inter­ests with mem­bers of the European Parliament, the Commission and the Council. Our pri­or­i­ty aim was to intro­duce a remu­ner­a­tion mech­a­nism enabling all per­form­ers to receive a fair share of the rev­enue gen­er­at­ed online by the exploita­tion of their record­ings, includ­ing after the trans­fer of their exclu­sive rights. 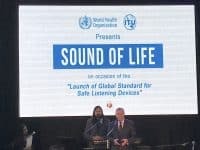 The World Health Organization (WHO) and the International Telecommunication Union (ITU) organ­ised a con­sul­ta­tive meet­ing on a new stan­dard aimed at reduc­ing risks linked to the use of devices for lis­ten­ing to music (audio play­ers and smart­phones). Held on the 13 and 14 February 2019 at WHO head­quar­ters in Geneva, the meet­ing brought togeth­er acousti­cians, engi­neers, researchers and rep­re­sen­ta­tives of musi­cians’ and hearing‐​impaired organ­i­sa­tions. WHO reminds us that 500 mil­lion peo­ple through­out the world cur­rent­ly suf­fer from deaf­ness, includ­ing 34 mil­lion chil­dren. 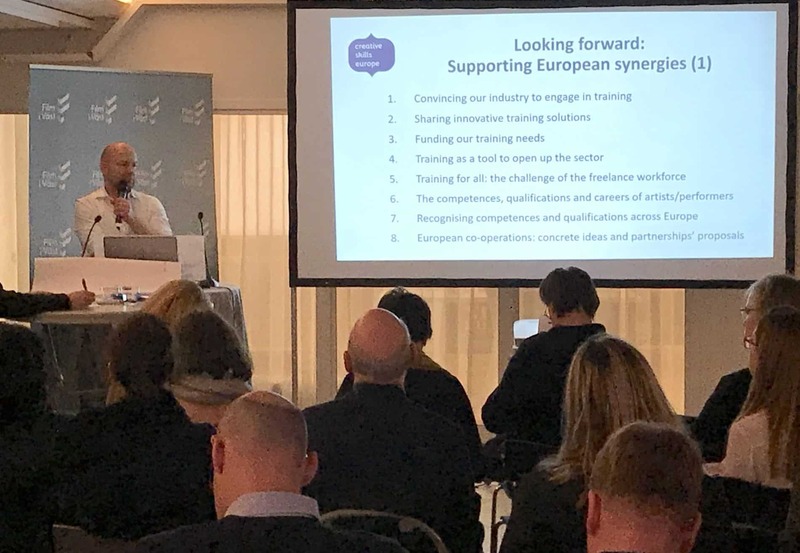 The final con­fer­ence of the Creative Skills Europe project took place on 5 February 2019 in Göteborg (Sweden). It has opened the way to enhanced tech­ni­cal coop­er­a­tion between the var­i­ous nation­al skills coun­cils in the per­form­ing arts and audio­vi­su­al sec­tors, but also at the lev­el of European social dia­logue. – cre­at­ing mech­a­nisms for bet­ter recog­ni­tion of qual­i­fi­ca­tions and skills at the European lev­el. The Declaration on Gender Equity in Musicians’ Unions, draft­ed by women union lead­ers on 1st November 2018 in Montevideo, was unan­i­mous­ly adopt­ed by Latin American union lead­ers in Bogota. 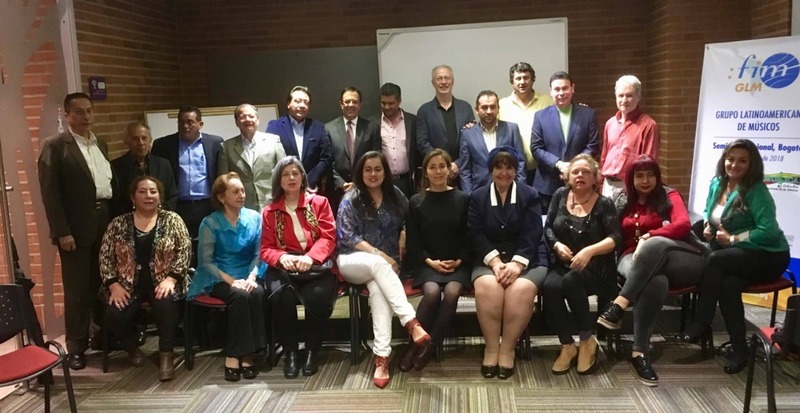 On 27 – 29 November 2018, FIM held a region­al work­shop in Bogota in the frame­work of a project fund­ed by Swedish organ­i­sa­tion Union To Union, with sup­port from the Swedish Musicians’ Union SMF. The event brought togeth­er rep­re­sen­ta­tives from Argentina, Brasil, Colombia, Costa Rica, El Salvador, Mexico, Panama, Peru and Uruguay. For some fif­teen years now, Swedish union SMF has been devel­op­ing a union train­ing course for its Malawi coun­ter­part, MUM. 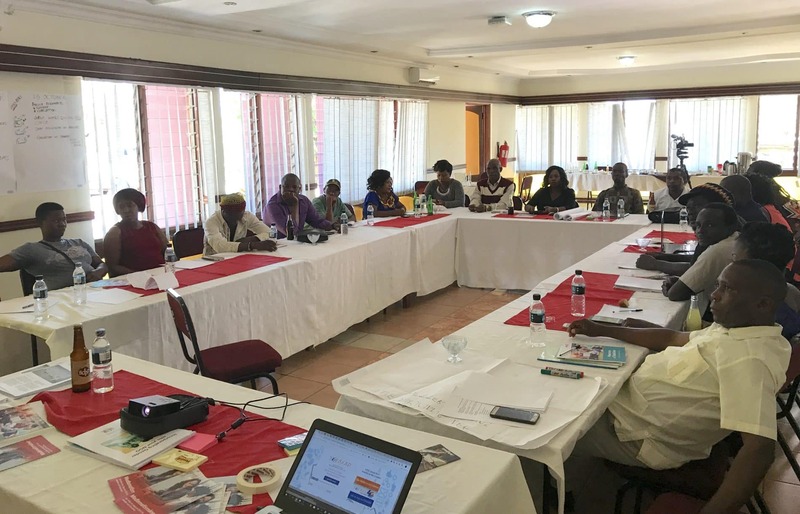 FIM, the Swedish Musicians’ Union (SMF) and the Musicians’ Union of Malawi (MUM) organ­ised a union train­ing work­shop in Lilongwe from 23 to 25 October 2018, with finan­cial back­ing from Swedish con­fed­er­a­tion Union to Union. 1. Union organ­i­sa­tion and oper­a­tion. This part was run by rep­re­sen­ta­tives from SMF, the General Secretary of the Zimbabwean union ZIMU and a rep­re­sen­ta­tive from union con­fed­er­a­tion MCTU, a part­ner of MUM. 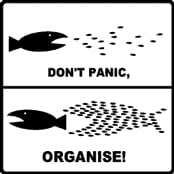 • Le groupement Global Unions représente un partenariat entre la Confédération syndicale internationale, les Fédérations syndicales internationales et la Commission syndicale consultative auprès de l'OCDE.